Less than two weeks after being crowned Federation Cup champions, Bengaluru FC will be competing in a second ‘final’ when Albert Roca’s side takes on Maziya S&RC in the AFC Cup at the Kanteerava Stadium, on Wednesday. In a group that’s tantalizingly poised, one of either Bengaluru or Maziya will make it through to the next stage in what is the last round of group stage fixtures. While Maziya can get the job done with a draw, only victory will punch Bengaluru’s ticket to the next round and Roca says his boys are up to the task. “The game against Maziya is another final, just that there’s no trophy or medal at the end of it. And while we don’t dwell too much on success that we’ve tasted, the team will look to draw inspiration from our Federation Cup triumph. We’ve left things late but we need to back ourselves,” said the Spaniard who famously guided the Blues to a historic AFC Cup final last season. While a Bengaluru win will take them level with leaders Maziya (12 points), a better head head-to-head record against the Maldivian side will take the Blues through to the next round. 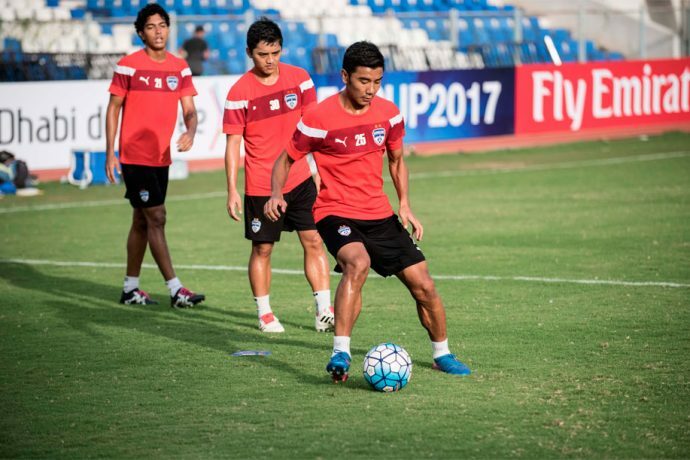 In what is a massive fillip for Bengaluru, skipper Sunil Chhetri has recovered from a muscle injury that saw him miss the semifinal and final of the Federation Cup. However Roca will be without Udanta Singh who limped out of the title clash in Cuttack against Bagan. “Sunil has been working hard with our medical team and will be available for the game. However, Udanta is still recovering from his injury,” said Roca. While the sole injury is a blip for Bengaluru, the Federation Cup champions have no suspensions to deal with as Harmanjot Khabra and John Johnson make a return to the squad after having sat out of the AFC Cup game against Bagan. Maziya are not an unknown foe, with the Blues having played the Maldivian champions three times, coming out winners in every one of those clashes. “We have a 100% win record against Maziya and while the numbers do give us confidence, the record isn’t something we will make too much of when we step on the pitch,” added Roca.